Share your photo of this bird. Share your video of this bird. 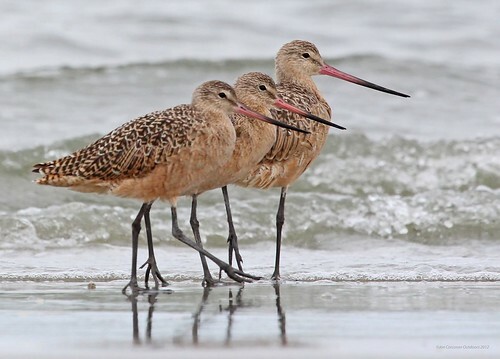 Marbled godwit by George Jameson. 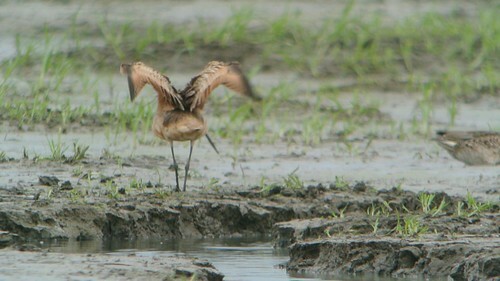 A marbled godwit (Limosa fedoa) calling out while walking around on a dirt road near Chaplin Lake, Saskatchewan. 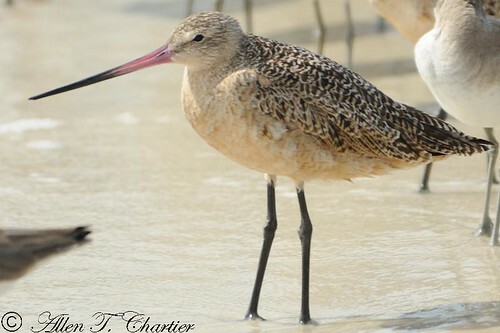 Migrant Marbled Godwits have arrived at the Kelly's Slough NWR, North Dakota (23 April 2010). Report a sighting of this bird. Location: Near the Sandpiper Prairie SNA, Minnesota.